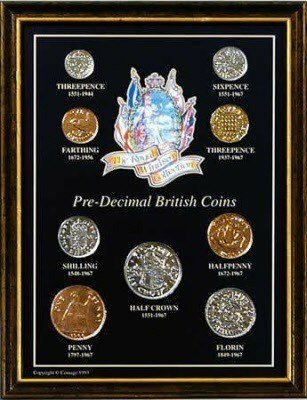 Royal Windsor Coins Collection, this collection is composed of nine pre-decimal coins and includes the famous silver threepence. Royal Windsor Coins Collection, the coins which used to be one of the most popular of coins before it was withdrawn from circulation during 1944. This attractively framed collection measures 220 x 170mm.